Dr. Meserkhani can rehabilitate your mouth and restore your ability to chew, smile and speak without pain or embarrassment. If many of your teeth are missing, decayed, or otherwise damaged and chewing is painful or difficult, then full-mouth reconstruction is the answer. Full-mouth reconstruction uses a wide array of dental procedures to restore your entire mouth back to full health and beauty so that it is fully functioning again and you will be happy to show you smile. Treatment may include dental implants, implant-supported restorations, treatment for gum disease and TMJ disorders, teeth straightening, root canal therapy, porcelain crowns and onlays and inlays. This makeover not only creates a healthy, fully functioning smile, it enhances your overall facial appearance. A bright, straight and healthy smile is rejuvenating in itself. When your bite is aligned, and you have a full set of teeth that support your lower face, a full-mouth rehabilitation can also act as a facelift. 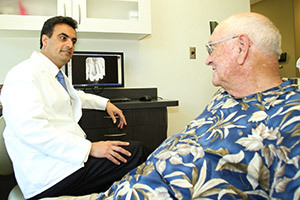 Dr. Meserkhani is highly skilled in full-mouth rehabilitation. Dr. Vahik Paul Meserkhani is a highly skilled and experienced prosthodontist—a dental specialist in the replacement of missing teeth and the restoration of natural teeth. He lectures internationally on prosthodontics and oral implantology and is a recognized expert in his field. Dr. Meserkhani has been awarded the status of Diplomate of the American Board of Oral Implantology, the most important and difficult certification available in oral implantology. This certification has been awarded to only 400 dentists in the United States since 1969. Dr. Meserkhani has created an experienced team of highly trained specialists who can provide almost any treatment you could need as part of your full-mouth reconstruction under one roof. After a thorough examination, Dr. Meserkhani will lay out a detailed treatment plan for you that will restore your mouth to full health. He will guide you through your treatment every step of the way, and he will coordinate you treatment so that you are receiving the best care possible. Dr. Artin Meserkhan is our resident orthodontist who loves seeing how happy patients are after having their teeth straightened. He is a firm believer in communication and customer service, and uses traditional braces as well as clear Invisalign when providing treatment. Dr. Alexanians is a leader in providing sedation. He wants each and every patient to feel relaxed, comfortable and confident during any procedures. He provides IV and oral sedation to ease any anxiety you may have. 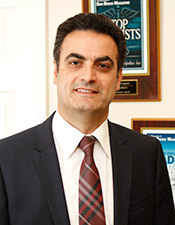 With his advanced training and years of experience, Dr. Meserkhani can handle the most complicated cases. 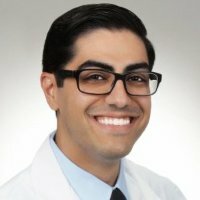 As both a prosthodontist and an oral implantologist, Dr. Meserkhani will employ his unique skills to create harmony in function and aesthetics in your mouth. His training allows him to see and treat your mouth as a whole, rather than focusing on a single discipline. 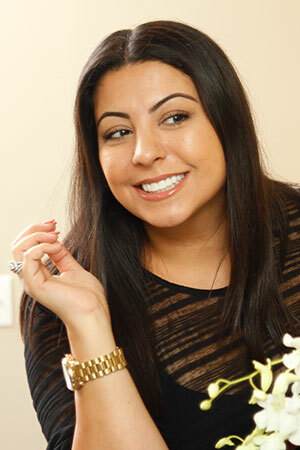 Dr. Meserkhani uses our first-class, in-house dental lab to ensure that all your restorations meet his high standards. He works closely with our skilled lab technicians to achieve the exact color, shape and customization of crowns, bridges, dentures and veneers suited to each individual. 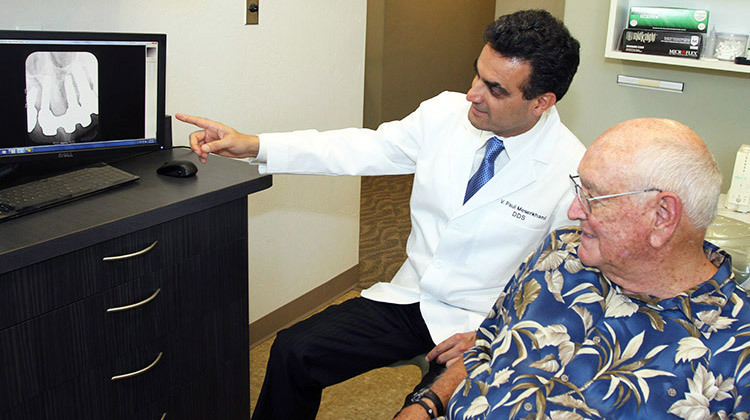 Because of the complications that can arise from separate specialists providing portions of a treatment, Dr. Meserkhani and his team work closely together – under the same roof – to ensure the success of your full-mouth rehabilitation. A full-mouth rehabilitation frequently includes one or more of the following procedures. Dental Implants, Implant-Supported Bridges and Implant-Supported Dentures. Implant posts are inserted into the jawbone and attached to crowns, dental bridges or dentures to replace missing teeth. Dental implants are the best solution for a single missing tooth. New Teeth in One Day. With recent advancements in implant technology, our doctors can provide you with a full set of teeth in a single day. Porcelain Crowns. High-quality, durable crowns restore a damaged tooth. Porcelain Veneers. Porcelain veneers can quickly and easily correct cosmetic flaws. With our in-house lab, we fabricate your crown and veneers right on the premises. Teeth Straightening. Crooked teeth affect the health of your teeth and gums as well as the aesthetics of your smile. Dr. Artin Meserkhan offers options for straightening your teeth. Gum Disease Treatment. Healthy gums are vital for saving teeth. We can provide treatment to improve the health of your gums and offer suggestions for preventative care at home. Gum Recession Treatment. Overly exposed tooth roots not only flaw the aesthetics of your smile, they are often very sensitive to hot and cold temperatures. This condition can now be corrected with our minimally invasive gum grafting procedures. Root Canal Therapy. To save a damaged tooth, an infected root and pulp in the pulp chamber need to be removed, and the chamber needs to be cleaned and filled. TMJ Disorder and Bite Misalignment. Bite misalignment and issues with the TMJ (jaw joint) can cause pain that radiates to the head and neck. We provide effective treatment for these issues. Sedation Dentistry. To ensure your complete comfort during procedures, we offer both IV and oral sedation.